New! 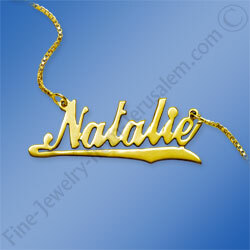 Your name in English on this beautiful 14K Gold name necklace. Beautiful new contemporary script. Hand Crafted and custom made. You choose: Any Name.